Melt chocolate in double boiler or microwave oven. Remove from heat. Combine egg yolks and cream and gradually add chocolate, stirring rapidly. Add vanilla and mix well. Beat egg whites with sugar until soft peaks form. Gently fold egg whites into chocolate mixture. 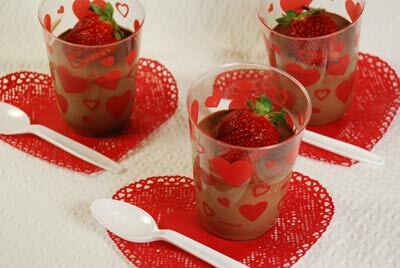 Spoon mousse into decorative mold or individual dessert cups. Chill at least 2 hours.